To start your thinking and start making choices download our catalogue. 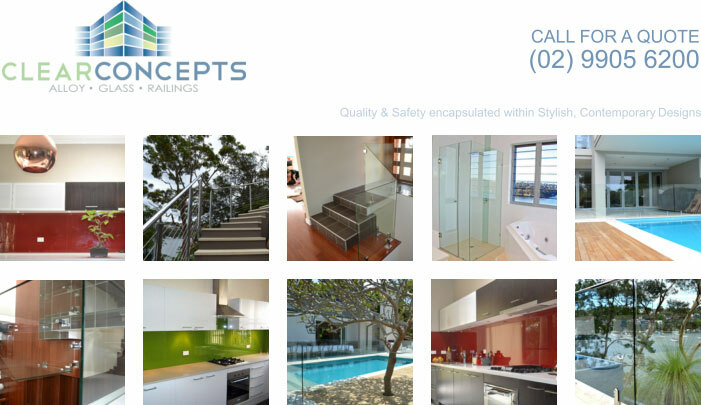 You’ll be able to see what a difference ClearConcepts balustrades, splashbacks, shower screens or glass pool fencing will make to your home, adding to its value by giving it a whole new look just the way you always wanted it. ClearConcepts is located in Brookvale and is ideally located to service clients in all areas of Sydney the northern beaches, north shore and north western suburbs.